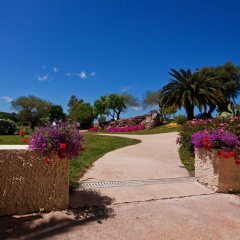 Find out all of the key and useful details about the three airports that we use in Sardinia. 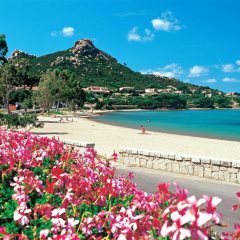 It is worth noting, the airports in Sardinia are generally functional operations, so you may not have the same extensive range of shops and restaurants that you would expect to find at UK Airports. 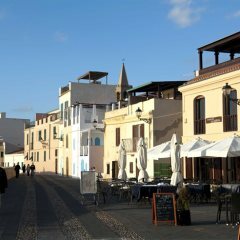 Alghero Airport, also known as Fertilia Airport, is nearly five miles northwest of the city of Alghero. 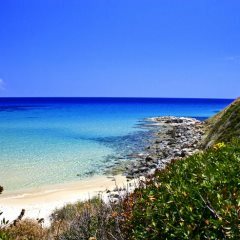 It’s accessible by car via the SS291 and SP44 motorways or there are regular shuttle buses that operate from Alghero and other prominent cities on the island to the airport. Special Assistance: There are ‘Assistance Request Points’ available at the airport and each station is equipped with an entry phone. Operators at the other end will arrange assistance for passengers accordingly. These are located outside of the terminal entrances on the pedestrian sidewalk and near the car park payment counter. 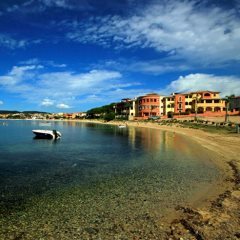 Olbia Costa Smeralda Airport is and is located at about four kilometres from the town centre of Olbia. 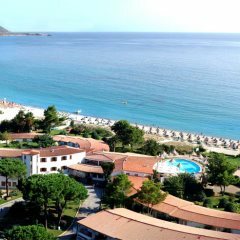 The airport is easily accessible by car via the SS127 and SS125 motorways. There are also shuttle buses that connect the airport to Olbia and the other main tourist destinations. Special Assistance: Olbia Costa Smeralda Airport guarantees people with disabilities or reduced mobility all services departing, arriving or in transit. The request for assistance and special needs of passengers with disabilities or reduced mobility must be notified to the air carrier at the time of booking, its agent or the tour operator or, at least forty-eight hours before the departure time published. The airport provides the Main Park, a car park just in front of the air station, with 32 parking spaces free of charge reserved for disabled. 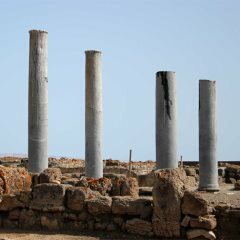 The Column with intercom to the request for assistance is located at the gateway to the terminal in the departure area. At the departure terminal there is a room called Friend Room, dedicated to waiting and reception the passengers with disabilities and reduced mobility. Toilets for disable are available both inside the departure lounges, before the security checks, in the basement and first floor. Blind people have, within the airport, tactile paths which lead to the passenger services, facilitating movement within the terminal. On arrival: On arrival at Olbia Airport, you will walk from the aircraft to the terminal building. Once you have passed through passport control and collected your luggage you will then see a ‘Sardinian Places’ representative on your exit from the baggage hall. They can assist with any questions or if you have arranged transport through us, they will direct you to the transfer vehicle or AVIS car hire desk. 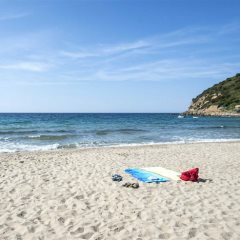 Just four miles from the centre, Cagliari Elmas Airport is the biggest airport on the island, having recently expanded. With the additional recent modifications, it’s also very modern with many facilities and services available to passengers using this airport. 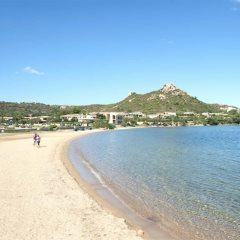 T The airport is only 7 km away from Cagliari city centre, the main city of Sardinia. Short distances and efficient transport links make Cagliari airport easily and quickly accessible from all parts of the Island. Public transportation connects Cagliari Airport to the city and all major locations throughout Sardinia. Passengers on arrival - provided their need for assistance has been correctly notified to our staff at Sala Amica – will be assisted from their seat through disembarking procedures, customs and immigration formalities. They will also be assisted in reaching the baggage hall, collecting their luggage and moving from the baggage claim to one of the designated drop-off points located outside the terminal. For the departure, passengers shall arrive at the airport at the time stipulated by the air carrier or its agent or the tour operator and announce their arrival at one of the following designated pick-up points within the airport boundary: intercom stations located outside the terminal or check-in desks, also for applying for assistance upon arrival at the airport. On arrival: On arrival at Cagliari Airport, you will walk from the aircraft to the terminal building. Once you have passed through passport control and collected your luggage you will then see a ‘Sardinian Places’ representative on your exit from the baggage hall. They can assist with any questions or if you have arranged transport through us, they will direct you to the transfer vehicle or AVIS car hire desk. 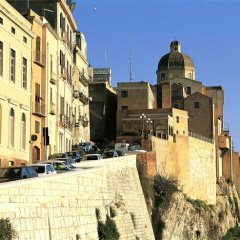 When returning to the UK: All baggage dimensions and security procedures also apply when returning from Cagliari to the UK. Please ensure you follow the same guidelines and place any liquid items within your hold baggage.